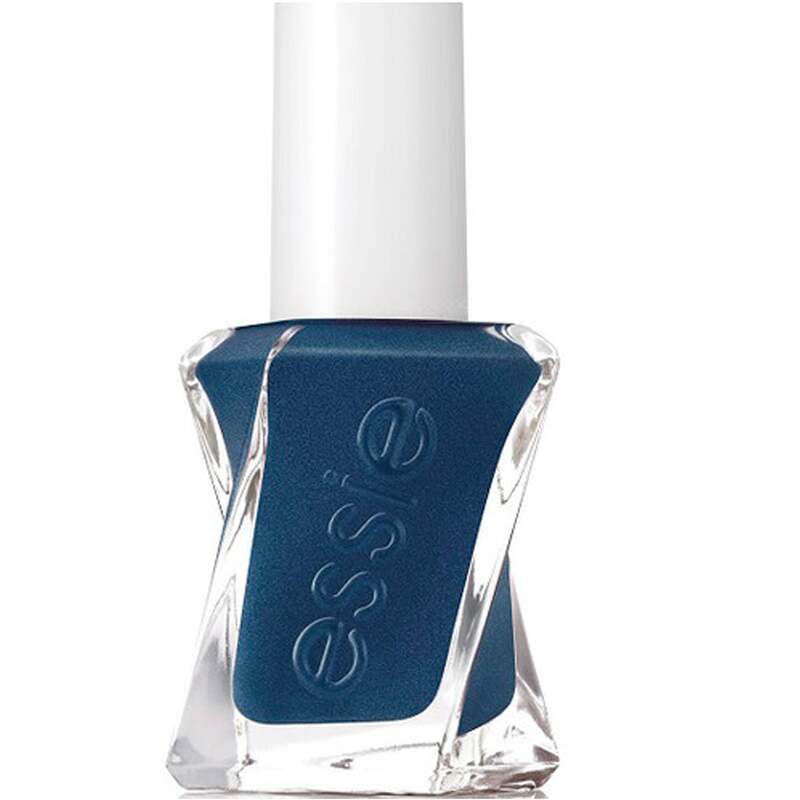 Essie Gel Couture is inspired by the elite world of couture fashion. Take a glimpse into the world of quality craftsmanship & artistry with the new sophisticated, couture quality range of bright, pastels, neutrals & deep shades. "Once you get your hands on it, you'll never let go.." The world of couture at your fingertips, introducing 4 collections inspired by moments of couture. Essie Gel Couture After Party Collection 2016 is embodied by the deeps. A collection that takes fashion into a world of deeps. Revel in & make the most of glamorous celebrations & dressing up with the ebony kiss in "Model Clicks" & a midnight plum in "Turn 'n' Pose". This After Party Collection really is more exciting & mysterious under the cover of darkness. Essie Gel Couture After Party Collection 2016 in the shade "Surrounded By Studs" is an arm candy sea blue. Nail lacquers that wear up to 14 days. Enjoy a long-lasting gel-like shine, that is achieved without an UV or LED light. Simply applied & removed, without the need of soaking your nails. A simple 2-step system, that anybody can master! A twist & swirl of a perfectly tailored gown made into a new bottle design. Perfect for both salon & at-home application. The application is made easy with the swirl stem brush.. Apply 2 coats of colour & 1 coat of topcoat! To view our entire Essie Gel Couture range, click here. Showing 2 of our total 3 reviews, with an average rating of 5 stars. Read all 3 reviews for Essie Couture After Party Collection 2016 - Surrounded By Studs 13.5ml (390). I simply love Essie paints and this new range is fab. Dries quickly and no base coat needed. This colour is a little darker than is shows on-line, but still a lovely colour.